Well, I’m finally home from my VITAC training. It was a tad cold up in Pennsylvania for this Florida girl, but I did get to see some flurries and that made everything all right. My equipment came and I’ve been in training for the past few weeks. I’m so excited, I can’t wait till I can be on air! This profession is so diverse. Most people think all court reporters do is sit in court all day. While that’s true for official reporters, there’s so much more that can be done if you’re a court reporting graduate. After graduation, you could work as a freelance court reporter like I did for 11 years. I reported hearings, trials, depositions, city council meetings, adoptions, and even a animal shelter hearing to determine whether a dog should be euthanized. I definitely didn’t get bored. I was somewhere different almost everyday. Or if you’d rather not work in the legal field, you could use your skills and be a broadcast captioner. You know those words that scroll on the bottom of the television? Most people don’t realize it, but court reporters (captioners) are the ones who make that possible. Instead of what we take down becoming a written transcript, our work is sent out live in all its glory (mistakes and all) for the whole world to see. Captioners have to be highly skilled, perhaps more so than their court reporting counterparts because there’s no chance to correct anything before it’s sent over the waves. We have to be over 99% accurate, so it’s a tough job. Most captioners can work from home, which means no commute. Basically, I like to think of captioning as a great way to get paid to watch TV. Still, others don’t care for the legal field, nor do they really want to stay at home all day captioning television shows. The answer for those people is providing CART services. This is also another highly specialized subsection of court reporting. CART providers write in realtime what is being taught in the classroom for deaf or hard of hearing studetns, whether it be middle school, high school, or college. A CART provider’s machine is hooked up to the student’s computer, and the student can then read what is being said as it’s being said in class. In that sense, it’s a bit like captioning, but the provider is in the same room with the student instead of being at home. As a CART provider, you can feel good knowing you’re helping individuals learn and participate in classes in a much more meaningful way, and you can learn a lot of diverse things by all the classes you’ll be sitting through. Now you know the possibilities of a career in reporting and you’re thinking this might be just the career for you. There’s actually a shortage of reporters to fill any of the different jobs I’ve told you about earlier. The National Court Reporters Association states that in less than four years, 5,500 openings for court reporters will go unfilled because there’s no new reporters coming into the profession to take the place of those who are retiring. So if you start court reporting school and if you make it to graduation, you’re practically guaranteed a job. Notice I say the word if. I’m not trying to discourage anyone for pursuing reporting, but court reporting school isn’t like other vocational schools. It’s hard and intense. Your successful graduation won’t depend on how well the instructors teach you the material. Your success will depend on your commitment to the process. 1. Nearly 90 percent of those who start court reporting school will drop out before graduation. Scary statistic, right? It is, but don’t let it deter you from starting the court reporting school. Learning steno (machine shorthand) is difficult in and of itself, not to mention that the required speed necessary to graduate the program is 225 words per minute. For some students, the steno language just doesn’t make sense to them. Others understand it, but just can’t get the speed they need. Of course, as in any other school, students drop out because of purely unrelated personal reasons. How do you know you’ll be the 10 percent who will actually make it through? Well, there’s no way you can know before you start, but there are certain talents that you may possess that lends itself well to reporting. Musicians, particularly pianists, tend to take to the machine. People who are good with languages also seem to do well in the reporting field. But even if you’re not a musician or a linguist, don’t count out court reporting school. If reporting is a career you truly want to pursue, then go for it. If you’re full of dedication and determination to becoming a reporter, there’s no traits that will get you through school successfully better than those two. 2. 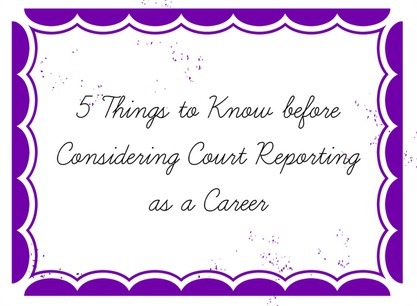 You won’t know for sure when you will graduate from court reporting school. Most college programs have a set graduation date. When you start in year 20XX, you know if you take a certain number of classes per semester, in two to four years you’ll be walking down that aisle to accept your diploma. Court reporting school? Not so much. In reporting school, there’s no set timetable to graduation. Graduation depends entirely on how quickly you can work your way through speed. After learning steno theory, students begin speed classes. Students spend most of the day in class writing on their machines as the instructor dictates material to them. Once you test out of a speed class, you go to the next higher speed, and so on, until finally passing the 225 wpm tests. Each student goes through speed at their own pace, which is why there’s no way to accurately predict a graduation date. Some students will zoom through speed in months. Others can languish there for years. Usually, though, most students graduate in two to four years, with some finishing earlier or later than that. 3. After graduation you’ll need to buy your own equipment before you can begin working. When I was getting close to graduating, I had sticker shock when I found out exactly how much I’d need to begin working as a court reporter. I was lucky because my father agreed to cosign on my loan. I knew others at school that couldn’t afford to buy their equipment and had to work at a restaurant after they graduated to save up. Add everything together, and it’s nearly $12,000 out of your pocket before you can even begin work. Again, don’t let the cost discourage you. If you’re a smart shopper and are willing to negotiate, the price can be much more reasonable. Also, if you’re leaning towards official court work and are willing to relocate, some circuits will provide everything at no cost. A used writer is generally half the price of a new one. Some companies even have new graduate discounts and payment programs. A few software companies have special prices for new graduates as well. Search eBay, Stenosearch, and the sales and you can get most of your equipment for a fraction of the $12,000. So don’t look at the startup costs and dismiss court reporting. It’s an investment in your future in a long and rewarding career that pays very well. Bear in mind, flexibility only applies to the freelancing arena. Officials who work in courthouses work everyday business hours. For most freelancers, you’re considered an independent contractor, which means you can work when you want. It’s a power you need to use carefully, though. 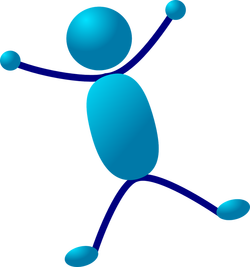 A reporting firm will do back flips over a reporter that is good and reliable. Taking off at the last minute and often can make things dicey. As long as you let them know a week or two ahead (excluding emergencies, of course) and do your job properly and meet deadlines things will be great. 5. Your Income Potential is only Limited by You. Any field in court reporting can be very lucrative. If you’re dedicated to improving your skills and staying current technologically, life as a reporter can be good. An experienced freelance reporter who specializes in realtime, broadcast captioners, officials, and CART providers all can make upwards of $100,000. Of course, depending on where you live in the US will affect your income. Some locations simply pay more. The Bureau of Labor Statistics reported that in 2012, the median income for a court reporter was $48,160. Yeah, I know there was one more bad than good, so don’t literally weigh the bad and the good. Remember, there’s a good and bad side to any career out there. You have to be the one to decide which one is right for you. Now, go and make an informed decision and hopefully you’ll be joining the exclusive rank of court reporter graduate in a few years! Good article. I’m a working reporter (38 years) and CART captioner who is going to speak at a career day later this week. I’m sharing the link to your article for those who think they really might be interested in CR/captioning. I think you covered things to consider very well. Thanks. Oh, wow, thanks so much! I hope the career day goes well and you get lots of interested potential students! After 38 years, how are your wrists and body? I haven’t been writing 38 years, only about 15. After graduating, what were the best resources for finding employment? It’s usually a requirement for graduation to do a certain number of intern hours at a court reporting agency, court, etc. That’s how most of us got our jobs. One firm I interned with offered me a job and I started as soon as I graduated. A good idea, too, is to write a letter to prospective agencies, kind of like a CV, and send them out. Also call and ask if they are open to hiring you right out of school. There’s a major shortage, so it’s pretty easy to land a job. Courts are a whole different ballgame though, they usually want you to have a certain amount of experience before hiring, but sometimes they will state if they’re accepting beginners.